In a new paper published today in the journal Microsystems and Nanoengineering, engineers from the University of Glasgow describe how they have for the first time been able to affordably 'print' high-mobility semiconductor nanowires onto flexible surfaces to develop high-performance ultra-thin electronic layers. Professor Dahiya said: "This paper marks a really important milestone on the road to a new generation of flexible and printed electronics. 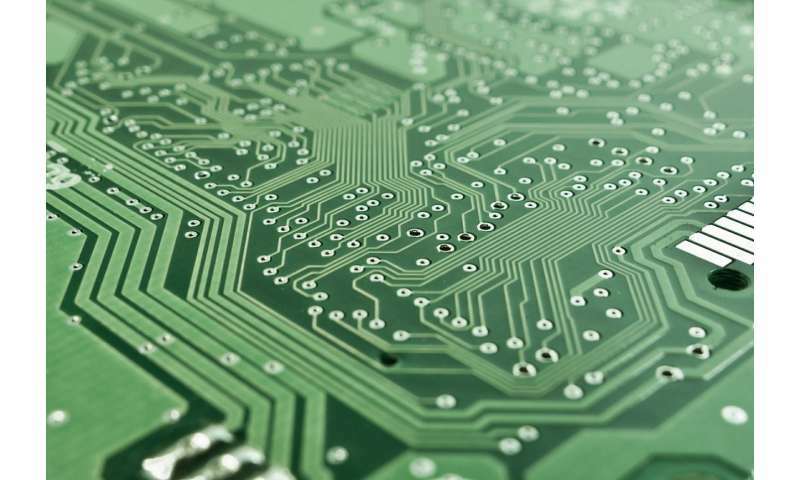 In order for future electronic devices to integrate flexibility into their design, industry needs to have access to energy-efficient, high-performance electronics which can be produced affordably and over large surface areas. "With this development, we've gone a long way to hitting all of those marks. We've created a contact-printing system which allows us to reliably create flexible electronics with a high degree of reproducibility, which is a really exciting step towards creating all kinds of bendable, flexable, twistable new devices. "We've just secured further funding which we'll use to scale up the process further, making it more readily applicable to industrial purposes, and we're looking forward to building on what we've managed to achieve already." The paper, titled 'Heterogeneous Integration of Contact-printed Semiconductor Nanowires for High Performance Devices on Large Areas', is published in Microsystems and Nanoengineering.